Dendritic cell. 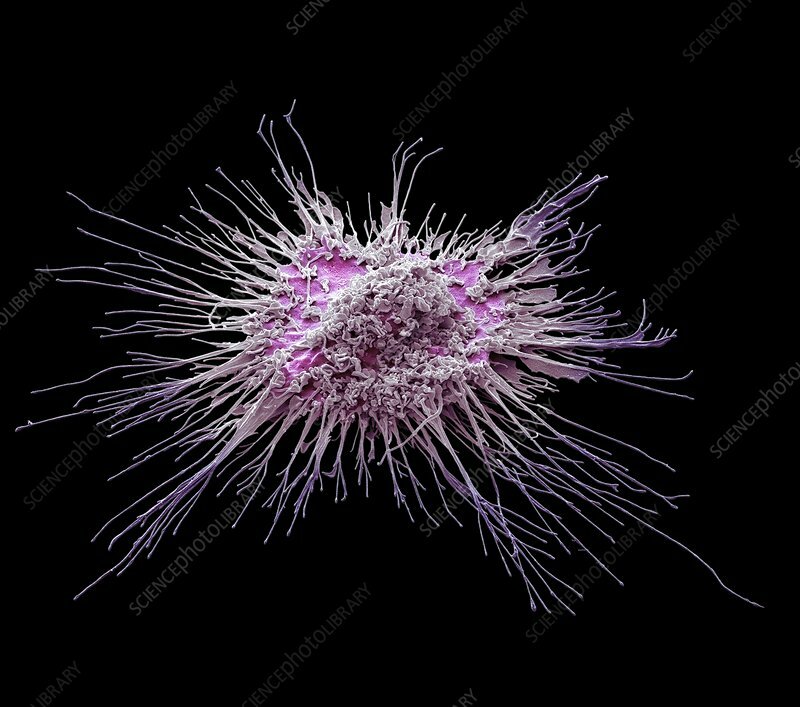 Coloured scanning electron micrograph (SEM) of a protective cell of the human immune system known as a dendritic cell. Dendritic cells process foreign antigens then act like an alarm signal, alerting other immune cells of the body to the infection. The long projections seen on the cell's surface are "feet" to help it move. Dendritic cells found in the upper layer of the skin (the epidermis) are known as histiocytes or Langerhans cells. In the central nervous system dendritic cells are known as microglia, and in the liver as Kupffer cells. Magnification:x 2000 when printed at 10cm wide.